The latest version of the successful Crazyflie development platform comes with improved flight performance, durability and radio. Together with an extensive ecosystem of software and deck expansions it's ideal for education, research and swarming. 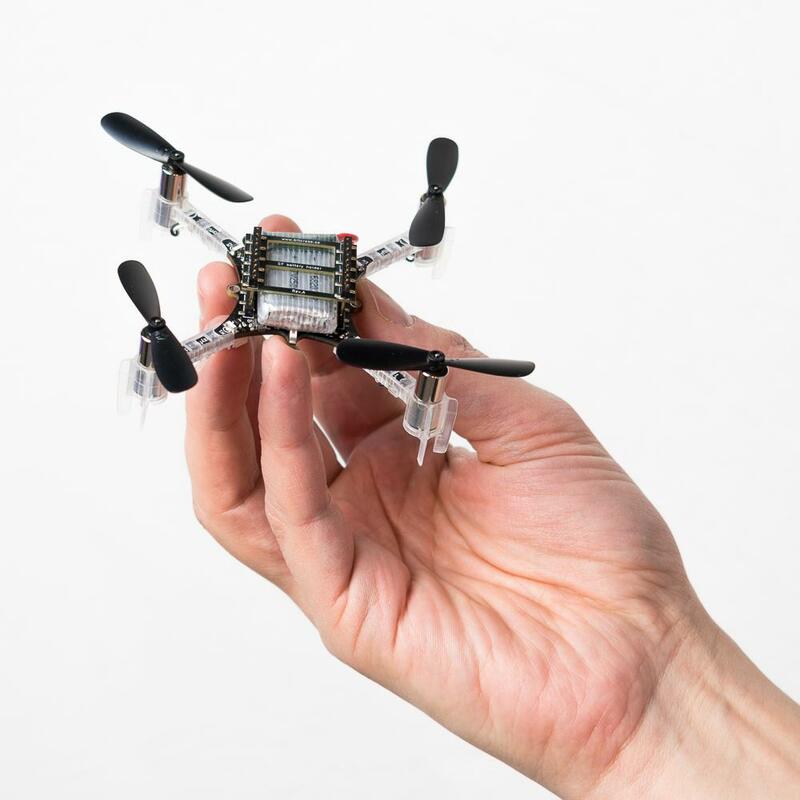 The Crazyflie 2.1 is a versatile open source flying development platform that only weighs 27g and fits in the palm of your hand. Crazyflie 2.1 is equipped with low-latency/long-range radio as well as Bluetooth LE. This gives you the option of downloading our app and using your mobile device as a controller or, in combination with the Crazyradio PA, using your computer to display data and fly with a game controller.